There's been a couple of days for the dust to settle on the eleventh running of the GABS Hottest 100 Aussie Craft Beers, which has given us enough time to chat to some the people behind the breweries and beers making the stories in 2018. As well as owners and brewers at the trio occupying the podium spots for the second year running, we got hold of some of those appearing for the first time in a year when previously unrepresented areas such as Darwin and the Sunshine Coast burst into the Hottest 100. And, while we touched upon this year's countdown, we spent as much time chatting about the beer world as a whole, both in terms of how it's going for our interviewees and the wider industry. When it comes to those occupying the podium spots, it's almost gone past the point where it makes any sense to ask how it feels to sit atop the pile, given they've become accustomed to picking up gongs and plaudits so frequently over the years. Indeed, Jamie Cook, one of the three founders of Stone & Wood, whose Pacific Ale has now spent a decade in the Hottest 100 – nine of those years in the top three – suggests a shake up might be in order. "It could be time to switch to the new releases," he says of the poll, "just to keep it fresh." It's a suggestion he made to the organisers a few years back, despite concerns at the time that it might encourage the desire from brewers and drinkers to always chase something new, new, new. But, given that's happened anyway, Jamie believes it could be an evolution worth considering for the Hottest 100, pointing out that the scale of the vote can make it easy for bigger breweries with great reach (both in terms of distribution and audience) to dominate year in, year out. While 31,000 voters is a significant turnout – around 40 percent larger than that for Beer Cartel's most recent Craft Beer Survey, for example – he says: "We've got more than 50,000 Instagram followers so it doesn't take much to skew the vote. That's a good reason to move to just the new releases." 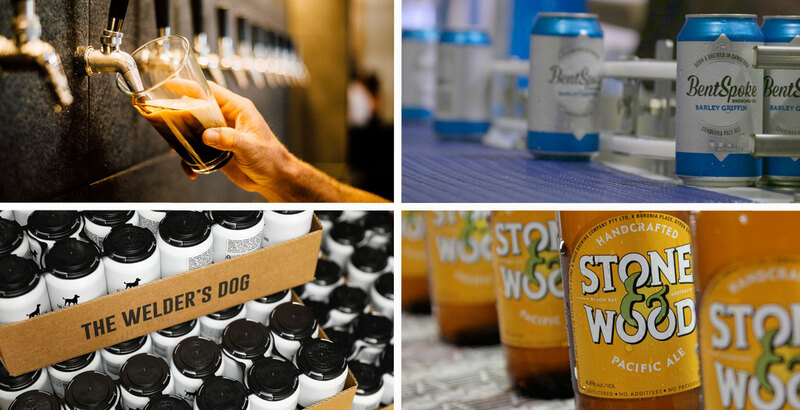 As for this year's poll, he says the success of some regional breweries highlights the growing local and parochial aspect of the industry, something he says remains key at Stone & Wood, despite its rise to become the largest independent Australian brewery behind Coopers. "We try to stay local with what we do; it's still a very important part of what we do," he says. Having opened their new home in Byron Bay at the end of last year, they're currently in the process of "bedding down" and getting the team under the one roof again. And, beyond that, fans can look out for more Stone & Wood beers – not all of them, but "horses for courses" – following Pacific Ale into cans. Celebrations underway at Canberra's BentSpoke (left) and Capital (right). The poll saw Canberra brewers nab eleven spots in the Hottest 100 – six for Capital and five (in the top 23) for BentSpoke. And the two breweries were quick to share in their success, issuing a joint press release (from a guy who has worked for both, naturally) that, in its own way, highlighted the countdown's ability to bring the community together. “People in Canberra know about quality and flavour and they really do back local businesses that deliver flavoursome experiences," BentSpoke co-founder Richard Watkins told The Crafty Pint. 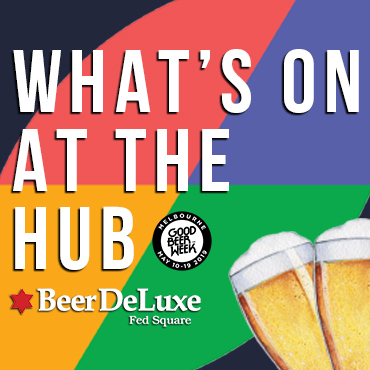 Richard – who's been brewing commercially since 1994, including a lengthy stint at the Wig & Pen where he picked up two AIBA Champion Brewery titles – believes the Hottest 100 countdown day is one on which to celebrate the local beer industry. For the team at Balter, the six beers they landed in the top 100 – including three in the top seven – were part of an impressive showing from Queensland. Together, the state's brewers took up 22 spots, up from just five in 2016. Along with Black Hops and Burleigh Brewing, it saw the Gold Coast's swag climb to eleven, while the Sunshine Coast got in on the act with an impressive half dozen of the new entries in this year's lineup (of which more later). The latest acknowledgement for Balter comes on the back of their most recent expansion: in the last quarter of 2018, they had to "pop the roof four or five metres" to fit in three 30,000 litre fermenters – each of which takes eight brews over two days to fill. When reminded that one of the reasons head brewer Scotty Hargrave (pictured above) gave for moving on from Stone & Wood to run the brewpub operation at Byron Bay Brewery prior to joining Balter was that he didn't want to be overseeing a larger production brewery, he laughs: "Yeah... Back in the day!" At Balter, where he's also a co-owner, he says: "This is a bit different as I've been there since inception – right from when we broke ground in the shed. I've been very fortunate to build the brewery I wanted to build and the beers I want to make." As for the experience of the last few years: "It's like being strapped to the front of the train," he says. He adds that it's one he's becoming more capable of managing. Indeed, if you look at the breweries whose beers fill the top seven spots, there's plenty of experience: aside from Scotty's long career in brewing, there's arguably no team in the independent craft world with more runs on the board than the one at Stone & Wood, while we've already mentioned Richard Watkins quarter century of commercial brewing above. Then there's Richard Adamson at Young Henrys and the family running Bridge Road Brewers, which is now approaching the 15 year mark since launching its first beer in Beechworth. "I like to think I'm getting better every day," Scotty says, "and I'm sure the other guys think that as well. You also get to a point when you've done enough laps that you can anticipate things a bit better, you can address problems a bit better. "It's not quite Zen but there's a stabilising influence." Rupert Hall of 10 Toes behind his brewery bar when 7 News recently came calling. If one was to describe the state of the beer scene on the Sunshine Coast right now, "Zen" is unlikely to be the first word that comes to mind. Just over three years ago, the only brewery there was the Sunshine Coast Brewery. Since Your Mates (as gypsies), 10 Toes and Moffat Beach released their first beers in quick succession – the first new brewing operations in the region in 18 years – around a dozen more have joined the party, with one opening and closing in that time too. 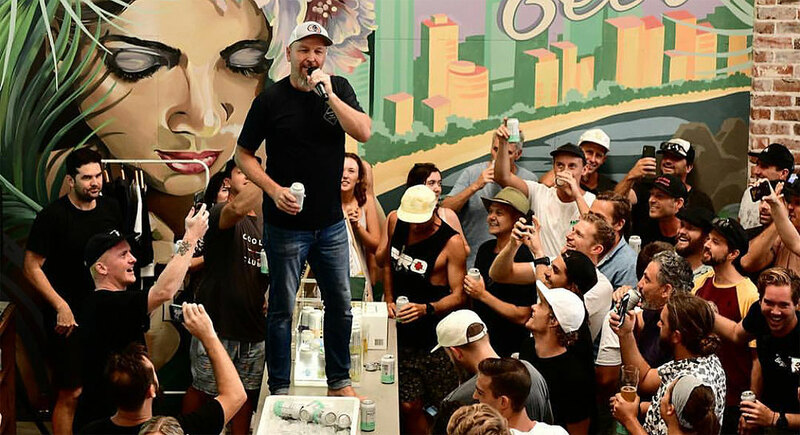 Scotty describes the situation as "like a gold rush up there at the moment", thoughts that are echoed by Rupert Hall, founder of 10 Toes in Alexandra Headland, which burst into this year's Hottest 100 with three beers. "It's something I've been watching," he says of the explosion of new breweries. "I was quite nervous in the early days but, fortunately, people didn't come in too hard and fast. "The consumer base has definitely grown and that's been the key thing. Each brewery has attracted so many thousand people and got them interested. [Craft beer] is now a real thing – the media loves talking about it, people love talking about beer. My gut says if we see too many more in the really short term there will be some fights, but that's not to say it won't grow. "Maybe in another year the market will have grown and there will be space for a lot more. People do need to be pragmatic; there's a lot of spare money on the Sunshine Coast, hence where we are seeing so many open up." As for his own brewery, it followed a career as an engineer plus 14 years of homebrewing, started out on a tight budget with a "Frankenbrew" setup featuring its fair share of repurposed dairy vats, and has grown steadily ever since – while retaining a Sunshine Coast focus. The initial 500 litre, wood clad fermenters are still in place but have been joined by some larger conical tanks, although demand for his highest ranking beer – the Pipeline Pale – means they're all dedicated to that one beer with everything else fighting for time in the babies. That said, he's off to China next week to finalise the design of a new 25 hectolitre brewhouse he hopes to have up and running by June. When it comes to this year's Hottest 100, it turns out he was bushwalking in Mount Coolum as the results came in, before returning to the brewery for "big hugs and cheers". "It's pretty humbling. It's our first year having a decent crack at it," he says. "Last year, I got our entry in five days before voting closed..."
Aside from a little push on social media, he said they focused on asking visitors to their venue to vote for them as they passed through. "Craft beer is a pretty hot topic on the Sunshine Coast," Rupert says. "We've got nice little community here that is embracing beer. "It's great to see breweries doing well up here and people doing their own thing as it's building an industry. In the early days, we felt like [new breweries opening] was competition but now we are creating a whole scene that's become really vibrant. That's just been awesome." Your Mates founders Matt Hepburn and Christian McGarry at their newly opened home on the Sunshine Coast. Rupert's not the only local brewer growing fast; a short drive down the coast Your Mates are not long into their brewery home and awaiting the arrival a new brewhouse. 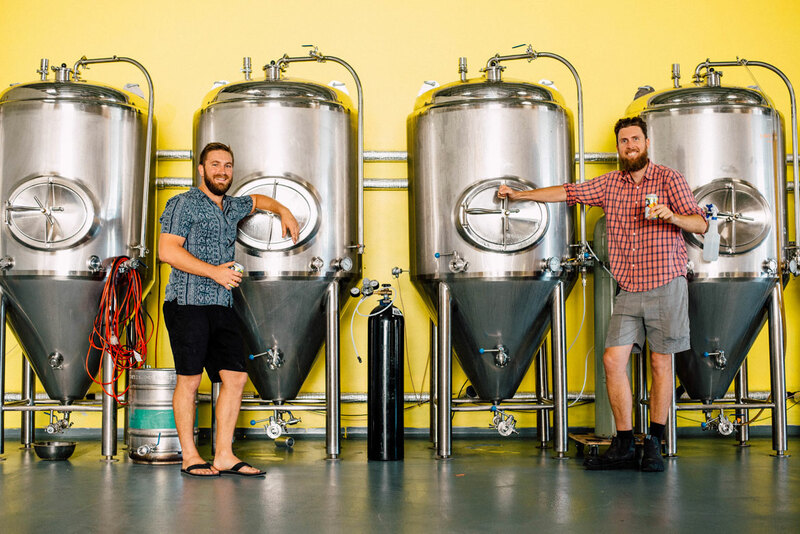 For now, co-founders Matt Hepburn and Christian McGarry have a pilot system with which to brew beers for their venue with the rest of their beer coming out of BrewPack and 4 Hearts in Ipswich as they look to meet demand. The 20 hectolitre brewery that's on its way will allow them to bring more brewing under their own roof. For now, everything they release is being consumed on the Sunshine Coast – a brief dalliance with Brisbane last year had to be called off to keep those on their home turf happy. "It's just been crazy," says Matt of a period in which they've also appeared on Shark Tank. "I came back [after the Hottest 100 countdown] to an inbox of emails from people in Sydney and Melbourne wanting beer. I had to say we can't even get it to Brisbane." As for landing a beer at number 13 (their flagship pale ale Larry), he says: "We've got good local loyalty and people were telling their mates to vote. We were just flabbergasted. 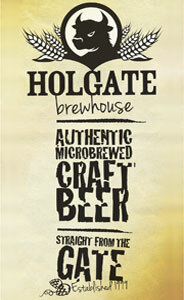 To be among those beers like Black Hops Pale, we were chuffed." 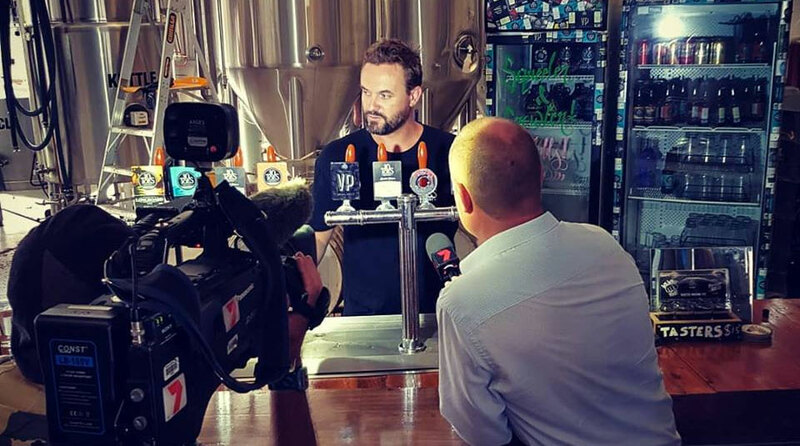 He's confident the Sunshine Coast – "a big growing area" – can handle the surge in new breweries, while admitting: "It is tough – there's a lot of dark days as well as the good days. Anyone getting into it now has got to have two million – or be batshit crazy." This year's countdown was also notable for a first appearance by a brewery from the Northern Territory, with Darwin trailblazers One Mile Brewery racking up an impressive four beers in the top 100. It follows a year in which Alice Springs gained its own brewery and Beaver Brewery opened in Darwin too. One Mile co-founder Stuart Brown says this was the first time they had entered their beers after being told by the GABS team that their customers were keen to vote. Otto's, 4:21 and RDO all landed in the Hottest 100 for Darwin's One Mile Brewery. 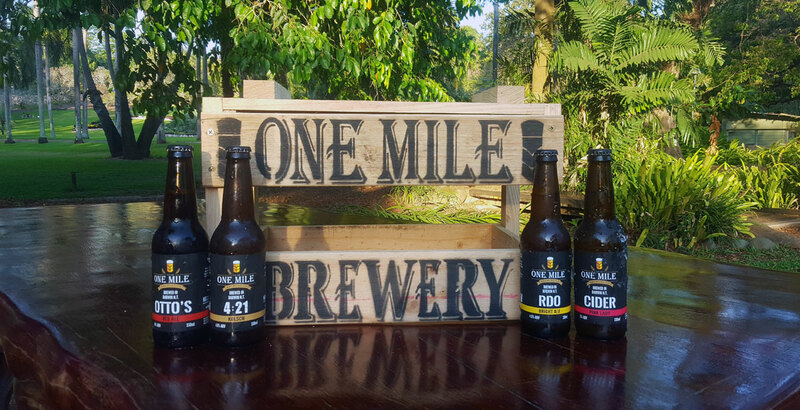 Having launched in 2012, One Mile are the Territory's brewing pioneers and have already been through multiple expansions. Local media also rallied to their cause, while Stuart believes Darwin’s transient population may have brought them support from beyond the Top End too. The beer lovers of New England had cause to celebrate on Sunday too when one of the region's growing number of breweries scored a H100 hat-trick. The Welder's Dog from Armidale saw their Farmhouse Ginger Beer, Australian Wheat and India Pale Ale huddle together between 35 and 42. "It was a good weekend," co-owner Phil Stevens told The Crafty Pint – although not just due to the results of the poll: four new tanks arrived last Friday he hopes will help them take their capacity from 16,000 litres per month to closer to 40,000. "In the long run, it will be better to have the new tanks," he says. When it came to Sunday's countdown, he adds: "I didn't think we would get anything – it's always good to manage expectations!" While there is a growing number of breweries in their wider region, including near neighbours New England Brewing Co who have been operating in Uralla since early 2013, Phil says their location means "we benefit from being one of the only horses in the race and have a really good local following that comes to the party. "We did more [around the poll] than last year, with a few more products out and more people involved in the marketing, but the strongest thing we had was word-of-mouth; there's a lot people we work with and we just asked everyone if they'd round up their troops." As for any potential boost for the brewery side of a business that also operates craft beer venues in Armidale and Tamworth, he says: "The way the market is in this day and age, you take what you can get and don't look a gift horse in the mouth, whether it's an award or the Hottest 100." You can read about the growing beer scene in and around Cairns that H100 newcomer Hemingway's is helping drive here, while Jetty Road, from the Mornington Peninsula, who landed two beers in the top 100, feature in this article after becoming the first brewery backed by investment group Founders First. And you can find the rest of our GABS Hottest 100 Aussie Craft Beers Of 2018 coverage here.